Acquired: Claudell was signed by the Lions as a free agent in May of 2018. 2018: Claudell had a phenomenal first season in Orange and Black, registering 31 defensive tackles and two sacks through 11 games en route to being named the Lions’ Most Outstanding Rookie in 2018. 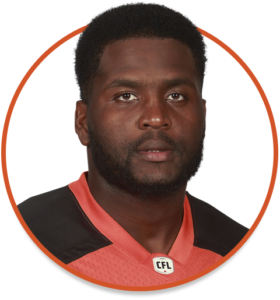 He had a memorable CFL debut, racking up five tackles and two sacks against the Toronto Argonauts on August 18. 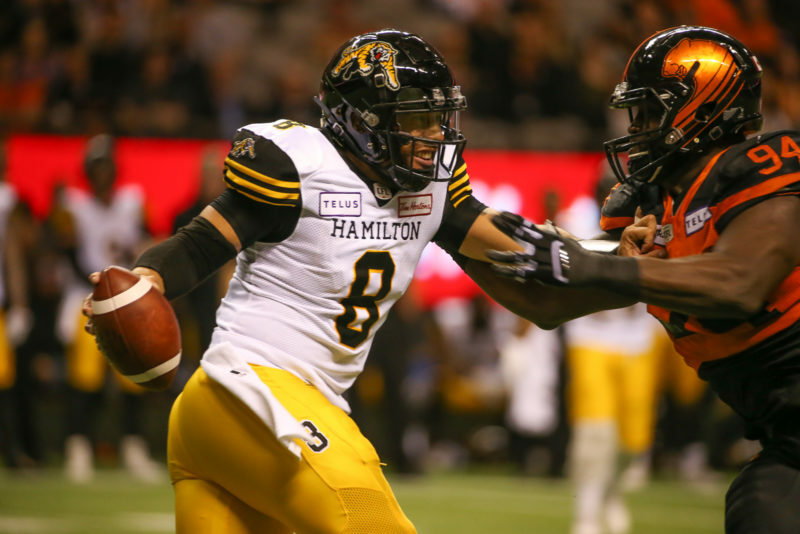 2017: Claudell signed with the Hamilton Tiger-Cats in April and participated in training camp with the club. 2016: The Buffalo Bills signed Claudell as an undrafted free agent. The Minnesota Vikings signed him after the Bills released him. Claudell appeared in one preseason game for the Vikings. 2011-2012: Claudell began his career at the College of Sequoias in Visalia, CA. As a freshman in 2011, he posted 18 tackles, a half sack, 3.5 tackles for a loss and broke up three passes. 2013-2015: Claudell transferred to Fresno State in 2013 and appeared in 26 games for the Bulldogs. He broke out as a senior, notching 47 total tackles, 6.5 tackles for a loss and five sacks en route to earning an All-Mountain West Honourable Mention. Claudell was Born in Haiti and didn’t move to the United States until 2001. He grew up playing soccer in Haiti and only played football for one year in high school. Despite his late introduction to the game, Claudell says he loves the physicality of football. He has two brothers, Jude and Philippe, and enjoys spending time with his family when he isn’t plugging up running lanes. Claudell was a communications major at Fresno State.